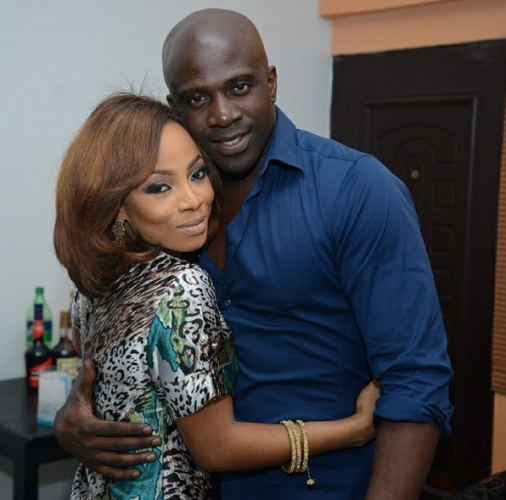 OAP and vlogger Toke Makinwa celebrated her birthday Yesterday on the 3rd of November. Her friends threw her a birthday party it wasn’t underway until Maje Ayida showed up. Her estranged husband gave her the shock of her life at her birthday dinner and she was excited! This comes after Toke Makinwa in her divorce suit filed against Maje Ayida accused him of “adultery”, “abandonment” and “cruelty”. According to her, Maje had repeatedly sent text messages to Anita Solomon inviting her to live with him. Maje claimed to not have money to take care of her and pay their bills, but was able to pay for Anita’s upkeep and travel expenses to the UK to have their baby. But, does this latest surprise mean the estranged couple are trying to work things out? We hope so. Meanwhile, Toke recently talked about her struggles after her marriage crash, and released a teaser of her new project “On Becoming” yesterday, November 3, 2016. “On Becoming” will focus on Makinwa’s experiences, her brokenness, betrayal, scars and her quest for more.